Argan oil has been a very popular skin care ingredient in recent years, widely believed to deliver exceptional benefits to the skin. Does it really live up to its fame? And is its popularity entirely deserved or could some of it be just marketing hype? These are useful nutrients with structural and immunologic functions. All four fatty acids found in argan oil are abundant in many other oils, including olive oil and sunflower oil. Like many vegetal oils, argan oil contains phytosterols – specifically schottenol and spinasterol. While phytosterols in general are useful skin care ingredients, there is no evidence to suggest the two sterols in argan oil are better than many other phytosterols, present in other vegetal oils and herbal extracts. Naturally secreted by our skin, squalene is a natural moisturising factor with antioxidant and anti-tumor properties. It is thought squalene secretion peaks in our twenties and declines dramatically after that, so topping it up by applying a squalene-rich moisturiser seems a really good idea. Olives are a well known source of squalene and there are a few other vegetal sources that give a good yield (rice bran, wheat germ and amaranth seeds). 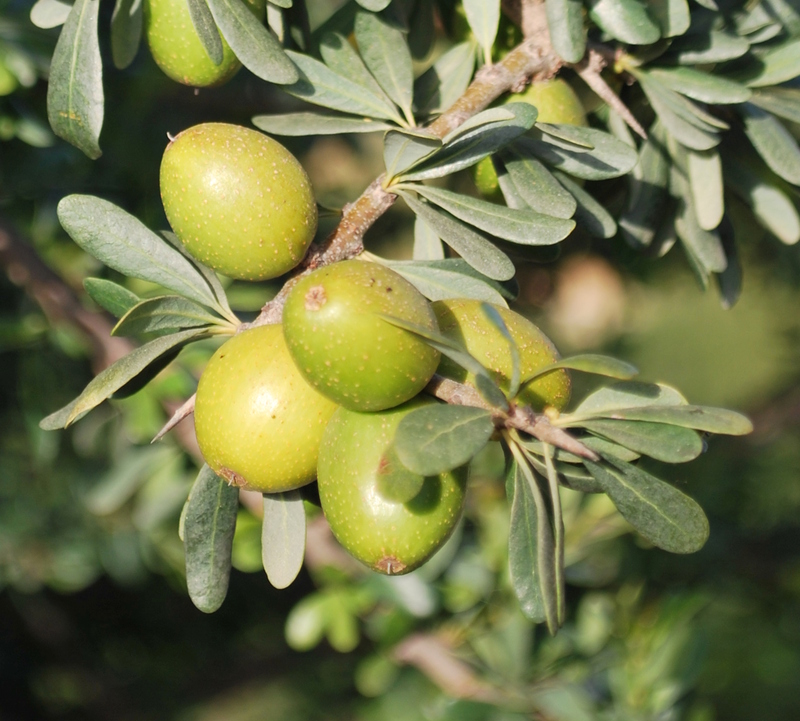 The squalene content of argan oil is lower than that of olive oil. The vitamin E content of argan oil is slightly higher than that of sunflower oil and more than double the vitamin E content of olive oil. These substances can protect our skin from oxidative damage. There is a long list of phenolic antioxidants found in plants. The ones present in argan oil are vanillic acid, syringic acid, ferulic acid and tyrosol. While they are useful skin care ingredients, none of them are unique to argan oil. Vanillic and syringic acids are also fond in acai oil, as well as in wine and vinegar. Ferulic acid is widely present in cereals and tyrosol is found in olive oil. The overall phenolic content of argan oil is a lot lower than olive oil’s phenolic content (by a multiple of hundreds) – most of the antioxidant action of argan is due to its vitamin E content. The research supports the claim that argan oil is a good skin care ingredient, with an excellent vitamin E content, useful fatty acids, sterols and a fair percent of squalene. Is it superior to most other vegetal oils available for cosmetic use? The factual evidence we have so far does not support that idea, but places argan oil in a group of vegetal oils and extracts that make valuable skin care ingredients. Is this better than sunflower oil when it comes to anti aging? Thank you for taking time to answer my question. 🙂 Hugs! Any more questions or anything that may inspire future blog post will be gratefully received.